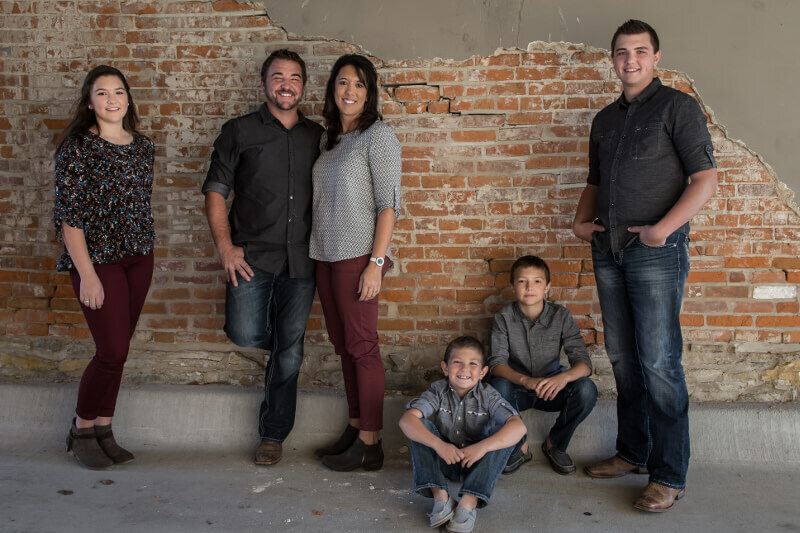 Nelson Contracting is owned and operated by two brothers, Toby and Aaron Nelson. Combined, Toby and Aaron have over 40 years’ experience in the construction business. They and their home repair staff are dedicated to bringing their customers the highest standard of service combined with the friendliness one can expect in dealing with a family-owned business. Our families live in Seward County and Lancaster counties we and enjoy our communities very much. We know that living life with those we work with and those we serve is the best way to operate our business and raise our families. Aaron, Vicki, Braxton, Tierra, Caden, Trayton. We have been in business together since 1998 and have worked hard to create a professional roofing company and the surrounding areas with a foundation in trust, integrity and best business practices. We strive to provide you with the most satisfying experience possible as we exceed your expectations for your construction project. Thank you so much for considering Nelson Contracting.